A new leak suggests that the Sony Xperia XZ1 will feature a 19 MP camera and Android 8.0. Sony is expected to launch the Xperia XZ1, Xperia XZ1 Compact and the Xperia X during the Sony pre-IFA launch event on August 31. The listing on GFXbenchmarking shows two models – G8341 and G8342. As per the listing, the Sony Xperia XZ1 will have a 5.1-inch 1920 x 1080 px display and 5-finger gesture support. 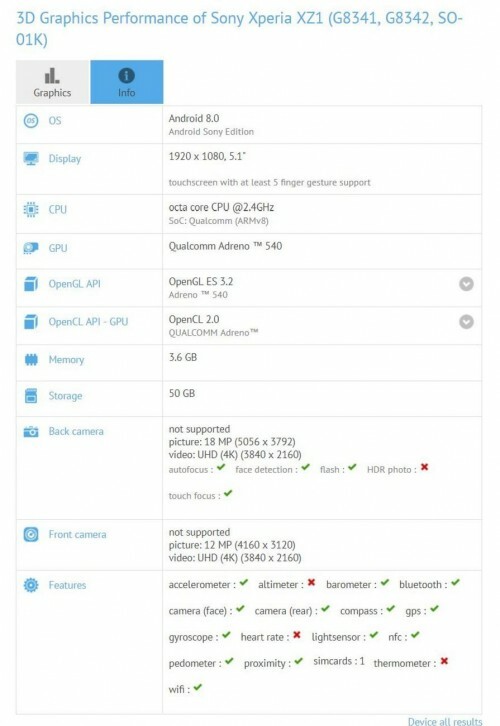 The device will feature a 2.4GHZ octa-core processor along with Adreno 540 GPU. The device will run on Android 8.0 and has 4GB RAM and 64GB onboard storage out of which 50GB will be available to the user. The listing doesn’t show the battery size or whether the onboard storage is expandable or not. The rear camera on Xperia XZ1 will be an 18MP with autofocus and an LED flash which will record videos at 3840 x 2160 px. The front-facing camera is a 12MP lens which will also record video at 3840 x 2160 px (4K). The GFX listing shows that the device has connectivity features like Bluetooth, GPS, NFC and WiFi. As per the GFX listing, the device has an accelerometer, gyroscope, light sensor and proximity sensor as well. An earlier Geekbench leak suggested that the Xperia XZ1 will be powered by the Qualcomm Snapdragon 835 chipset making it the flagship device out of the three phones. 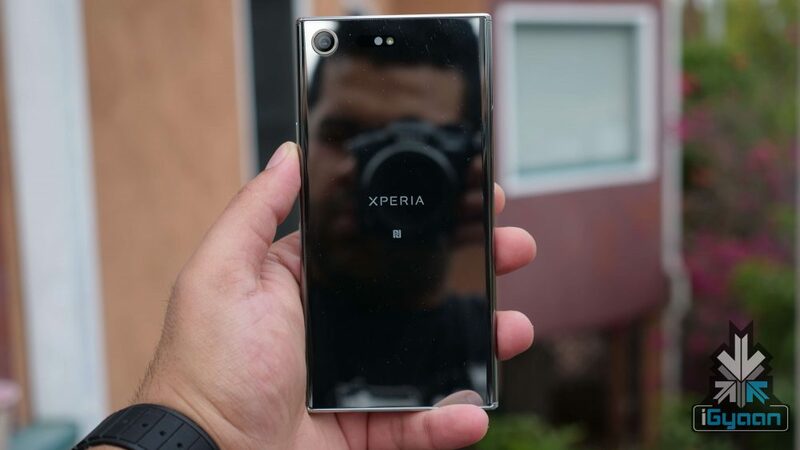 The phones will be unveiled come IFA, Berlin by Sony and the latest leak suggests that the XZ1 might be one of the first few phones to run on Android 8.0. the Xperia XZ1 Compact will be a smaller version of the XZ1 with a 4.6-inch 1080 x 720 px display and a 2,800mAh battery.